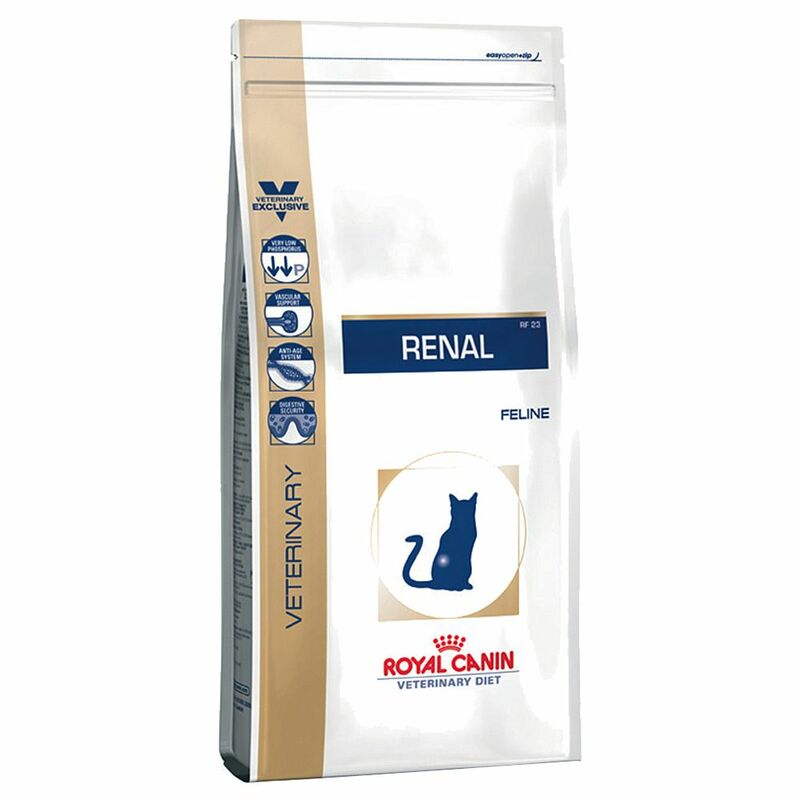 Royal canin vet diet renal is a dietetic dog feed specifically formulated to support renal function in the case of chronic or temporary renal insufficiency. Royal canin canine veterinary diet renal diet is very important part of the support of pets with chronic kidney failure. There are several general measures which you can take to help your pet feed exactly as advised. Avoid feeding extra snacks feed meals on a little and often basis warm food to just below body temperature to tempt your pet offer fresh food at each feeding offer food from a small saucer or by hand royal canin veterinary diet canine renal has numerous features including low phosphorus in chronic renal failure crf, the kidneys are no longer able to properly eliminate phosphorus. Limiting the dietary phosphorus intake is an essential part of nutritional support. Vascular support flavanols a particular type of green tea polyphenol have two major actions they neutralise free radicals and help maintain renal perfusion. Epa dha a higher intake of long chain omega 3 fatty acids epa, dha helps to maintain the glomerular filtration rate. Digestive security increased uraemia may induce the development of gastric and intestinal mucosal ulcers. The combination of zeolite with fos helps protect the mucosae. Veterinary diets are formulated for the nutritional support of specific clinical conditions and are recommended to be used under veterinary advice. For more information on feeding renal to your dog, please consult your veterinary surgeon.